The roots of Psychology are international, but so is psychology. A major figure in the history of psychology was the Russian physiologist Ivan Pavlov. The premier pioneer in the study of childhood development was the Swiss biologist Jean Piaget. The father of the psychoanalytic movement was an Austrian medical doctor Sigmund Freud. Modern European social psychology has made major contributions, for example in the field of social categorization theory. Henri Tajfel and his collaborators made signal contributions to the understanding of group behavior during his tenure at Bristol University, as did collaborators from other European countries. However, Moghaddam (1987; 1990) described the United States as the “superpower” of academic psychology. In support of this claim he cites the volume of resources available to American scholars. Other observers have also described the US as the major source of academic social psychology, and the “center of gravity” for professional development (Bond, 1988). It would not be inaccurate to state that the vast majority of social psychological research is conducted in North American settings, including Canada. This might therefore be described as the “first world” of social psychology in terms of production and influence on the world scene. Europe, with Great Britain and France leading in social psychological research, may be considered the second world of social psychology. Generally the university settings are smaller, and funds available not as large as those in the US, but social psychologists in Europe have made distinctive contributions of their own in the development of theory. In particular European scholars give more attention to intergroup behavior (e.g. Doise, Csepeli, Dann, Gouge, Larsen, & Ostelli, 1972), and the wider social context like social structure, and culture (e.g. ideology) (Jaspars, 1980; Doise, 1986). European and some American colleagues tend to criticize American scholars as being too individualistic (e.g. Sampson, 1977) and culture-blind in their orientation, having mainly developed theories that reflect the salient values, goals and issues of the United States that may not be equally valid in other societies, and neglecting other social phenomena like minority influence and social change (Moscovici, 1972). European social psychologists have developed unique laboratory methodology, the minimal group situation to study the effects of social categorization on intergroup relations (Tajfel, Flament, Billig, & Bundy, 1971), along with observation studies of how people communicate attitudes in natural settings and create shared social representations (Potter and Wetherell, 1987; Van Dijk, 1987; Moscovici, 1981). The third world of social psychology is found in the developing nations. Psychology in these countries is greatly hampered by lack of funding, and therefore has to rely to a large extent on psychology developed in other countries and cultural settings. There are many problems in these countries, which could benefit from a mature research based social psychology. The social problems of developing countries are to some extent distinctive as they involve issues of poverty, ethnic conflict, and lifestyles very different from the urban lives of the western world (see e.g. Kim, Yang and Hwang, 2006). In the future we must look to the development of social psychology from all three worlds. There is much in the human experience that we have in common. We are all born into the world as dependent beings, all have to face developmental tasks, including forming families, and finding our social niche. We all face the great existential issues including the transitory nature of life. World psychology can provide insights that are helpful to all societies on these and other problems we all face. There are also specific problems unique to each society and culture. This is where the third world must make its contributions based on patient theoretical development, and empirical research. Reliable and valid empirical findings are superior to any armchair theorizing, regardless of the quality of the theoretical ideas. Only by empirical means can we eventually develop a significant world social psychology. 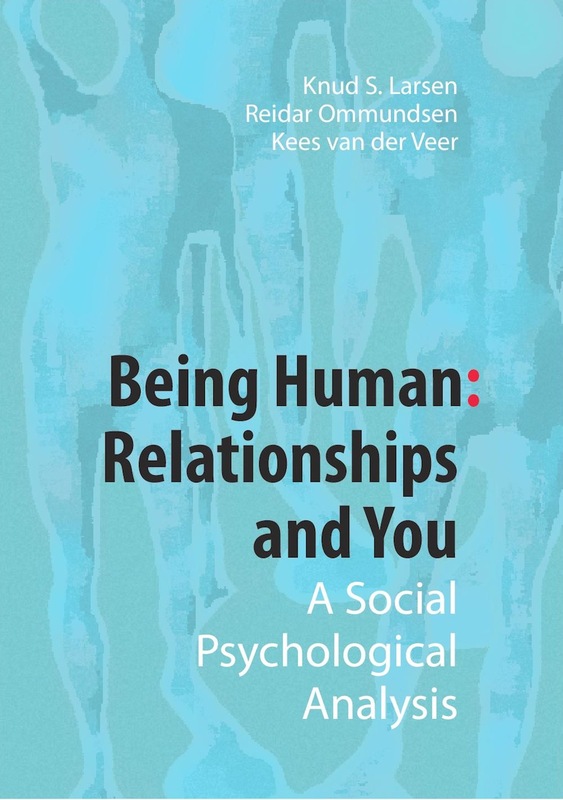 Such a social psychology would describe the processes of social relations, thinking and social influence which would be common to all human beings. May this book be a step toward that noble quest, and stimulate the next generation of students, scholars, and all those interested in the field. Social psychological thinking is ancient, but the science described in these pages is modern. There are those who would say “there is nothing new under the sun”. It is true that we owe a great deal to philosophers like Aristotle, Socrates, Plato and many others, who thought about society, and made astute observations. Later scholars however have since put many of these early ideas, to the empirical test. We all have a cultural heritage to which we are indebted for many contemporary ideas. However, social psychology as a separate field commenced with the publication of two books at the beginning of the twentieth century. William McDougall was the author of An introduction of Social Psychology published in 1908, and in the same year E.A. Ross published Social Psychology: An outline and source book. McDougall was a psychologist and Ross a sociologist, so it’s right to say that these two fields were the parents of social psychology. In fact, typically social psychology is taught in both fields, but with a somewhat different emphasis. The major issue confronting those early thinkers was how the influence of others affects our behavior. Social psychology often reflects salient concerns in history, a fact that is easily ascertained by examining the major research topics in a given time period. In the early years of the twentieth century, the French revolution was still in the mind of many social thinkers and therefore social psychology placed an emphasis on such questions as why people behave less rationally in crowds. Le Bon said in affect “as individuals people are civilized, in crowds they are barbarians” (Larsen, 1977, p.iix). Does the environment cause behavior; for example are some cultures more aggressive and war like than others? (Chagnon, 1997). McDougall felt that social behavior could be explained by social instincts, and therefore favored the “nature” explanation. In turn McDougall was influenced by Charles Darwin whose evolutionary theory proposed that the explanation of behavior is found in its contribution to survival. Others, however, suggested that we learn to behave in altruistic or aggressive ways through imitation of others and by the power of suggestion. For example, William James (1890), another influential pioneer, believed that the primary explanation for social behavior is “habit”; we learn our social behavior through repetition, thus emphasizing “nurture”. John Dewey (1922), another early thinker in social psychology, advanced the idea of the environment as a determinant and emphasized situational influences on behavior. These varying ideas contributed directly to the dominant theories which today influence and direct social psychological research and concepts. These early thinkers proposed major all embracing concepts in turn advocated as explaining all social behavior (Allport, 1985). For example, some proposed that hedonism (pleasure seeking) explain all that we do? Other thinkers suggested that we understand human behavior simply as a function of imitation or instincts. This emphasis on all embracing concepts, introduced the problem of “nominalism” into psychology. Do we really understand more by just labeling behavior? Eventually, social psychologists recognized the inadequacy of all encompassing principles and began the development of theories based on the scientific method. What defines social psychology as a discipline? 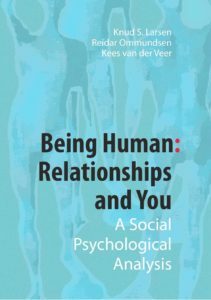 Allport (1985) suggested that social psychology is “an attempt to understand and explain how thought, feeling, and behavior of individuals are influenced by the actual, imagined, or implied presence of others” (p.3). In other words, social psychology is the scientific study of social cognition (how people think about each other), how people are influenced by the behavior of others (for example conformity processes), and how they relate to each other through cooperation or aggression. A group of international students is sitting around the dinner table discussing the television menu for the evening. A Norwegian woman student says, “let’s watch the soap, exciting things are happening to the relationships in the show”. A student from Asia disagrees since soaps “show disrespect for social values and relationships”. Someone from the States suggests watching a boxing match since that “demonstrates personal courage and achievement of the up and coming athletes”. The Asian student replies that rather than boxing, watching a team sport like soccer is more interesting. Another supporter of the soap option however, suggests that soap dramas are much more exciting as they deal with relationships, and “that is all there really is to life”. Cultural and gender stereotypes that are parodied above are addressed in this chapter. Our social selves are partially defined by gender and cultural values, and much else. How do we come to be who we are? How is the self formed and what function does it play in the psychological economy of the individual? Are we motivated to behave in certain ways depending on our social selves? What is the route to well-being; does it help to have illusions about life? Why do we spend so much time and effort trying to impress others, and is impression management adaptable? These and many other issues are discussed in this chapter. Who we are and where we come from has engaged the attention of philosophers and psychologists for generations. In more recent times the methods of experimental social psychology have been employed in the quest to understand the self and its dominant attributes. The self is defined as a set of beliefs we hold about our attributes and ourselves. We think of ourselves in terms of important personal characteristics like our career choice, our level of competence, and our plans for the future. The latter defines our possible selves. The continuity we feel in life is due to the self-concept. Similarity in personality with siblings, and especially identical twins, is based on common biological heritability that also contributes to self-hood. Every day we are confronted with situations requiring judgment and decisions. At times, in emergencies, rapid decisions are required allowing little time for reflection. In other situations, the outcome matters greatly and motivates us to carefully evaluate the judgment and consequences of our decision. Social cognition is a fundamental area of social psychology, and refers to how people utilize information in making decisions. Specifically, we will attend to how we select the information, how we interpret the information, and how we organize it to respond to the decision making demand. In situations involving police or other emergency teams there is little time to evaluate. The police may have fractions of seconds to decide if a suspect is holding a gun or some harmless object and to subsequently decide either to fire to kill, or to pursue another line of action. How does a police officer make such decisions? There are those who would argue that in the case of suspects the police use race to determine whether a suspect is dangerous or not (Singer, 2002). For example, in Cincinnati, USA the police killed 16 black suspects in six years, while no whites were killed in similar circumstances. It seems reasonable to assume that prejudice played a role in these life or death situations in the United States. In other words, faulty decision-making is often a result of rapid response requirements based on often false social stereotypes. We have more to say about stereotypes or cognitive schemas later in this chapter. On the more positive side, automatic thinking can also save lives. One of the authors recently had an accident, which caused 5 broken ribs, a punctured lung, and the loss of his spleen. He can recall every detail of what happened during the accident, and the efforts made to save his life. The emergency crew went on automatic thinking as soon as they saw his injuries, belting his body in several places, providing oxygen, and after questions about any allergies they started pain medication. In the emergency room there were similar very crisp questions as the surgeon ruled out other problems and directed attention to the needed surgery. This surgeon had a well-established memory of similar injuries and proceeded rapidly to address the injuries, and stabilized patient’s vital signs. As time was of the essence, these professionals were on automatic pilot, as they took steps to administer needed medical services. Automatic decision is rapid and carried to conclusion without a great deal of extended thought and reflection. In this type of social cognition people act as if without thinking, responding to internalized memory and experiences (Bargh & Ferguson, 2000; Sloman, 1996). There are other occasions when the situation demands a longer and more deliberate evaluation process. How to choose a life partner, what occupation to adopt, what philosophy or ideology to believe in, are best decided on thorough and very careful evaluation. By thinking through all the issues, evaluating potential consequences of our decisions, we can make better decisions, resulting in more contentment over the long run. Although automatic thinking seems to dominate so much of social behavior, we do have the capacity to override the process, and analyze the situation slowly and deliberately.